Well, I have to admit, I had forgotten this tread! We need a 1/144th scale forum here, don´t you say? No pics tho, but I will take some later on! Glad to see the thread hasn't died completely. Luciano, some nice builds there, glad you posted them. We need this to keep the interest up. Stefan, I definitely agree it would really be good to have a 1/144th Forum. Unfortunately there doesn't seem to be quite enough interest from what I've seen in the past. here's a few pics of the last completed build in 1/144th. This is the Revell AV-8B+ with Starfighter decals custom decals. A definite fun project. Next up..... an F-18F "Rhino". That's some really nice builds, boys! That's one heck of a dio Bruce! The Harrier is awesome, and I just love the base plate. Currently, I'm working on an Ivo Jima P-51D Mustang from Platz. I'll be trying someting new (to me, at least). Given that the Alclad II Aluminiums are somewhat translucent, I've done the panellines (and some weathering) first. I'm going to spray the model with clear "Honey Primer", and then add the aluminium in thin layers. Who know? Maybe it will work! I've also added some further detail / weathering and panellines to the Zero and the Wildcat. Here is the current status of the Far East project (the I-16 will be Chineese, btw). In my view, the panellines really made the difference! Hopefully, the postman will arrive soon with some more gems in this tiny scale! I'll keep you updated! Stefan - Perhaps a 1/144 forum, but first a 1/144 campaign?! By the way is that a CD base? Looks like you have a few gems in that case and as for a campaign well most of my campaign entries are in 1/144 any way so I'd join. 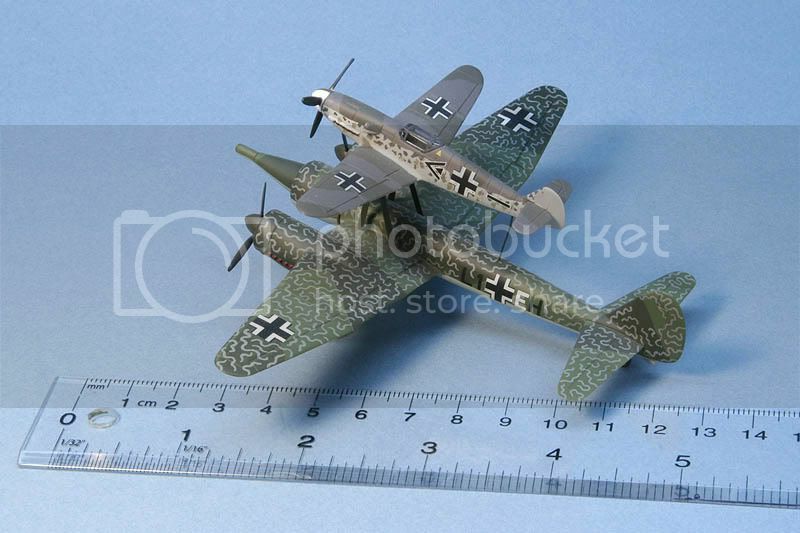 The figure is a converted modern German Air Force aircrew by Prieser. The base is actually just a circle of stained pine with a sheet plastic deck. The tie downs were made up individually and added in. Although not perfect, it is a decent addition to my case. The next 1/144th project will be a DML F-18F "Rhino"- so we'll see if I can improve on that. ..bought these recently ..beautiful little kits and a load of great decal options. As Andy has said the only problem I have is seeing some of the parts ..
BTW fantastic work on the AV-8 and that's a super base....but those pics have got to be at least four times actual size ! Wow, I usually don't look in the General forum here. Now I wish I had as I've been missing this thread. Personally I only dabble in 1/144th (Hi, Bruce! ) as my primary scale is 1/72nd. I've finished (all Revell) the Berkut, MiG.144 and Hunter and am working on the Wolfpack BAC TSR.2. If you work it, you can get this kit relatively seam-free. I've done so with attaching the wing to the rear fuselage piece and have worked the exhausts enough so they'll be so too (which will help with the painting). I'm now working on the intakes and trying to get those seam-free, but those aren't cooperating like the rest has so far. Unfortunately (for this scale) it's taken a back-seat to some of my 1/72nd builds. You can find more about it at Internet Modeler. BRUCEEEEEE!!! WHAT HAVE YOU DOOOOONE!!!!!!! I am in tears!!!!! Actually don't feel bad about "Betraying" the scale. At present, I'm finishing an Academy 1/72 P-40. Obviously most of us do this. But I normally return to the correct scale quickly. Ok.... now for some intel ? 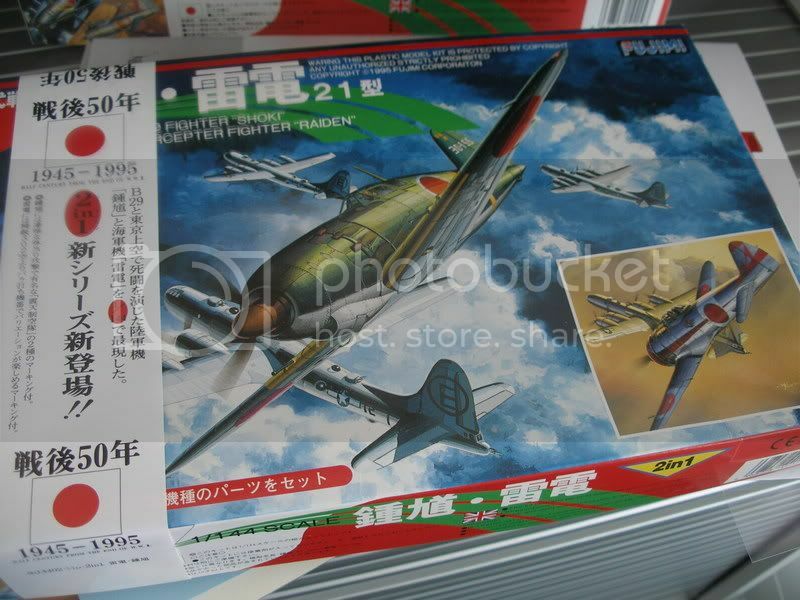 I keep hearing rumblings,(nothing official) about Platz doing a 1/144th A-4, anyone heard anything on this ? I just got their F-8.... What a kit !!! If they do the A-4 anywhere near as well as the F-8, or the latest P-51's, and P-47's it could be great for all of us. 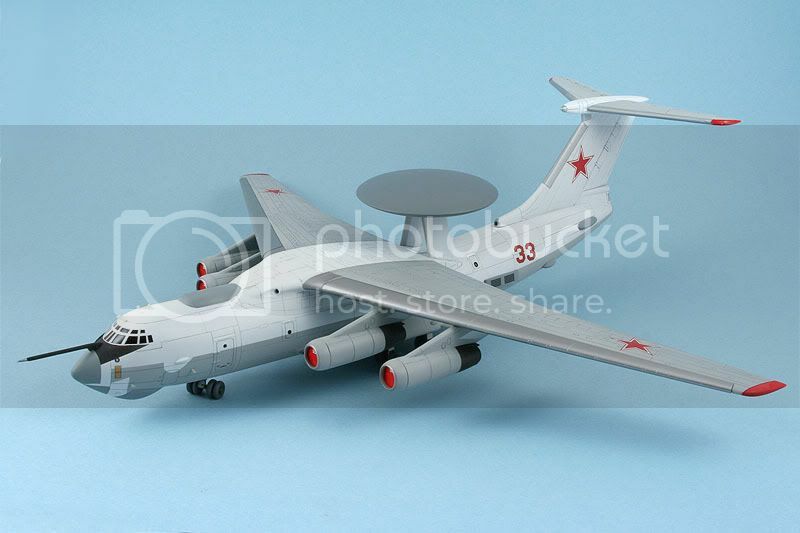 Plus there are photos of Revell's C-17 test shots on their website - so things just get better and better. I've built a few in the tiny scale, although I seem to build mostly 1/72 these days. Outstanding job on the Hunter ! That bird looks better the more I look at it, and there are sooooooooo.......... many color schemes for it ! I've got a whole squadron waiting in the stash with the Xtradecal decals, I take it thats what you used? Migrant, some amazing work and that A-50 Mainstay is a clean masterpiece. Cramp!!! I can't see the pics. A-4? F-toys mold again? Couldn't get the F-8 but there is a Café Reo set if you saw it including F-4D(which is a bliss in the scale) A-6 and F-8. Anyone got any? 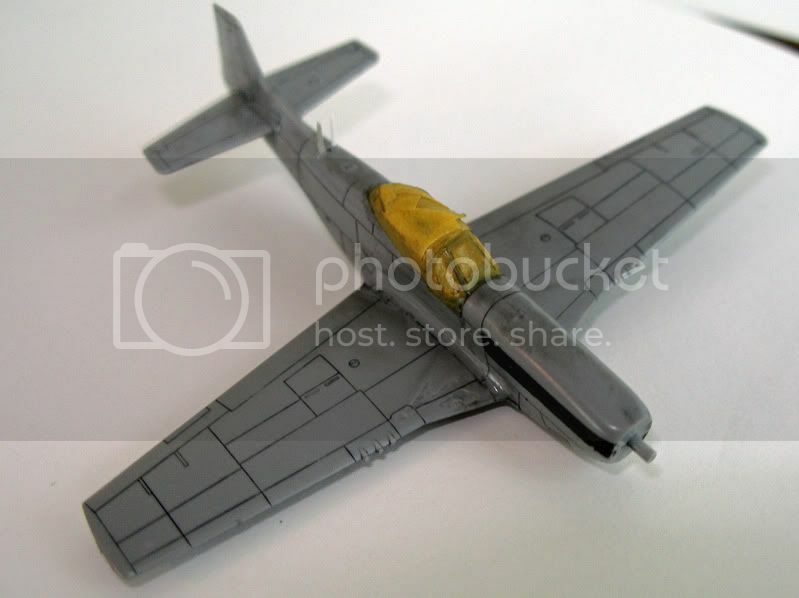 I saw a phto from a booth last year showing a Spitfire late version with a Sweet style box with a brand "Bitter" on it. Anybody has any idea? Björn, Just saw it, is taht the Kami de Koro Koro I-16? OK, I will chime in here. I dabble a bit in the 1/144 market as well. Mostly it is a pallet cleansor between more serious builds. When I was a kid, I had a whole airforce of 1/144 jets hung from my ceiling, missile shots with plumes of smoke made with cotton, the whole works. At that time you could buy a Revell (I think it was Revell) 1/144 aircraft for $5 or so. The last one I built a few months ago, was a Dragon 1/144 F/A-18E Super Hornet. I had painted it up as a "What IF" scheme, based on if the Canadian Air Force, bought the Super Bug to replace our venerable CF-18s, (may still happen yet from what I hear). I had planned on painting it the grey on grey colors of the CF-18s, and I started out that way painting the bottom, but then I decided that I was going to go back to a variation of the camo schemes that the CF-5s used to wear and camo up the CF/A-18E. Harms are from a Dragon 1/144 Tornado kit, the Mk.82s are from a Hobby Craft 1/144 F-16XL kit. The dual bomb launchers that the Mk.82s are on, are actually from the F/A-18E kit itself, as are the Sidewinders and drop tanks. Nice build Scott, an interesting colour scheme. Seeing your signature, do you know of any Avro Arrow's in 1/144? 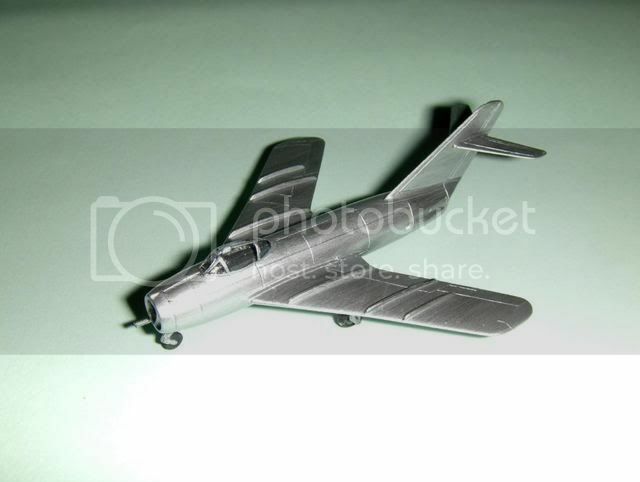 Also made a start on the Attack Mig-17F while at the show, pictures soon. I hope they are not like the UH-1N kit. It is a total waste of natural resources. I recently picked up an LS MiG-25 on evilbay. Nice kit!! I want to stick a cockpit in it. Any ideas, aside from scratchbuilding? Anybody build an OzMods T-33, built it gear-up, and has no use for the landing gear? I'm looking for a set, if so. TIA! 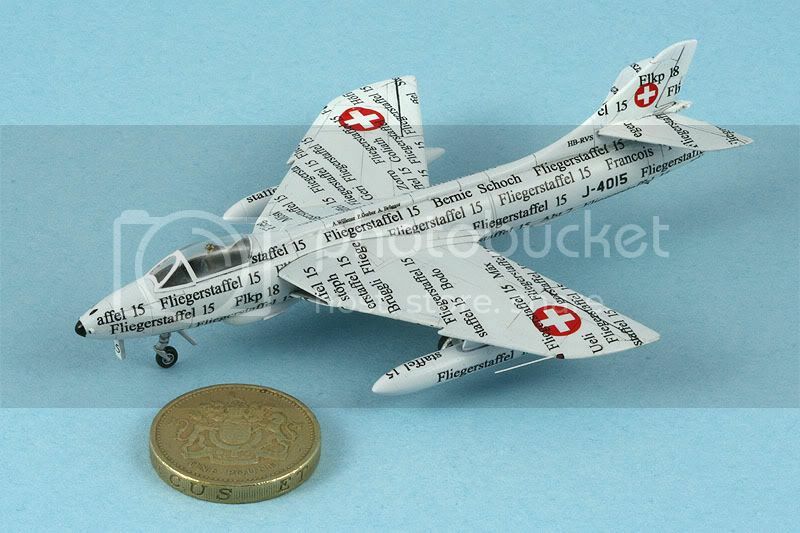 Hi Matt, checked my normal source (Matador Models) of 1/144 cockpits but no Mig-25 listed, see here for thier list. Here is a in progress pic of the Attack Mig-17 I started at a model show last week. Unfortunately the Arrow is only made in 1/72 and 1/48 scales. And only available from Hobbycraft. Nice looking Mig17 btw, and that weapons set would be nice to have!!!! Nice little Mig. I might have to end up digging that one out of the stash. 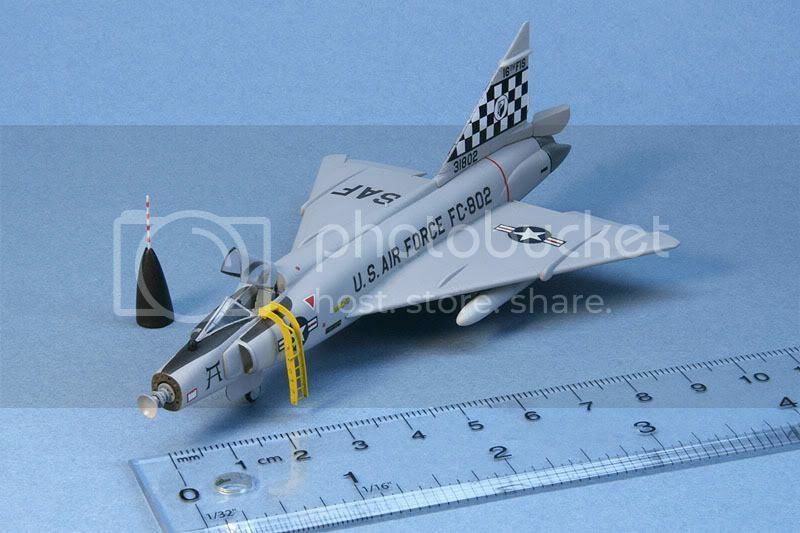 Also I had previously asked, but got no replies, has anyone built the Platz F-8 Crusader ? From what I can see, a jewel of a kit. Several versions are possible, and definitely one of the more colorful Navy/Marine aircraft of the time period. BTW : The F-18F is starting down the finishing track. I have the Platz F-8 Crusader kit, actually I bought three boxes (Yep, six kits!) as the Crusader Is a big favourite aircraft for me! I haven´t gotten around building any yet, though. Do you have the kit? I can take some sprue shots if you want to see what´s in the box. 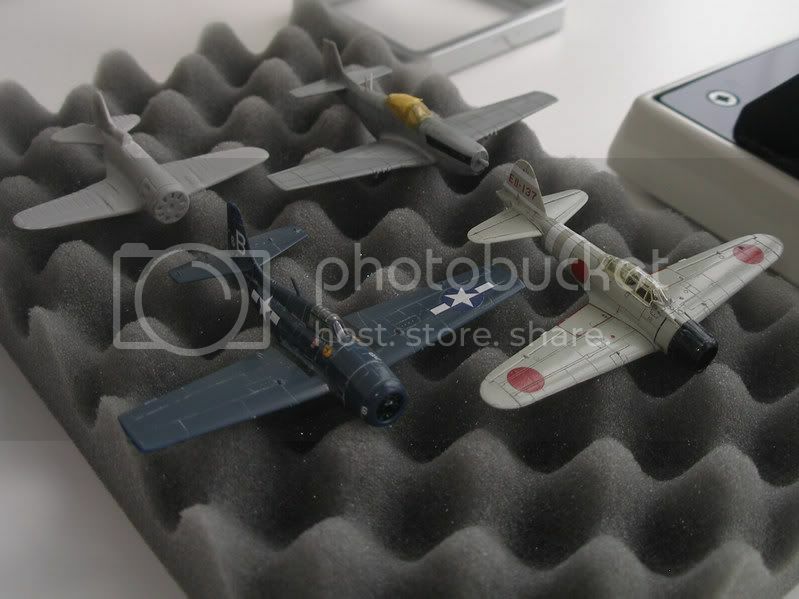 Have you seen the P-51 Mustangs, P-47 Thunderbolts and Focke-Wulf Fw190 from Platz? Then you´ll know what awaits you in the Crusader box, these kits are all real gems! Have you seen my Airfix 1/144 BAC SRN4 Hovercraft build?